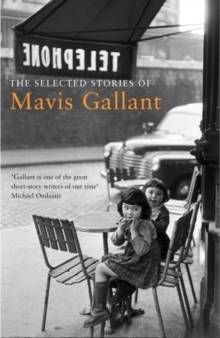 Mavis Gallant is admired and beloved as one of the masters of the modern short story. 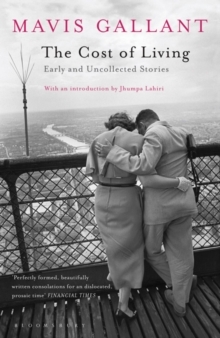 Selected from early collections and the New Yorker, where many of the author's stories have appeared over the last fifty years, and with an introduction by Jhumpa Lahiri, The Cost of Living reveals a writer coming into her own. 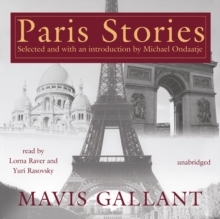 The stories span the first twenty years of a long career, from the poise and poignancy of her very first published story, 'Madeleine's Birthday' (1951), to the masterly exploration of the passage of time in the long story 'The Burgundy Weekend' (1971) that appears here in book form for the first time. 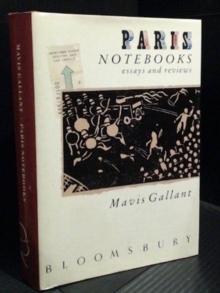 Gallant's sensibility has always been cosmopolitan and these stories take us from Quebec to postwar Europe, via New York and New England, before settling, like their author, in Paris. Everywhere the book reveals Gallant's subtly penetrating psychological insight, wit and unsentimental sympathy for the excluded and the exiled, not to mention her wonderfully wicked sense of humour.